This is a super nice 10.43 Troy Ounce (324.3 Grams) Australian Gold Nugget. 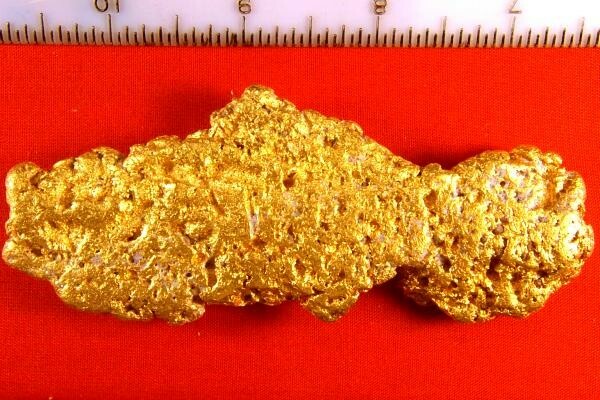 It was found by a prospector metal detecting in the Bendigo gold field near Victoria, Australia. 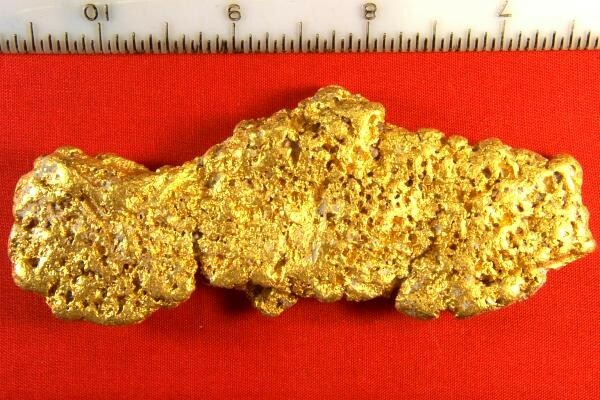 This gorgeous natural gold specimen is very long at 4.5" long x 1.6" wide x 3/8" thick. It has a very large surface area for the weight. Investors, jewelers, and collectors love Australian Gold Nuggets because of their high purity and beautiful color. Australian gold nuggets like this one are approximately 92% to 98% pure, some of the purest natural gold nuggets found in the world. Note that we do not accept payment by Credit Card or PayPal for this item. If you would like to purchase this nugget you can do so by going through checkout and choosing the payment method: "Cashier's Check/Money Order/Bank Wire Transfer".